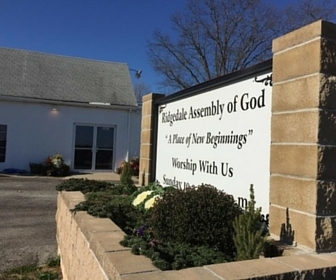 At Rigedale Assembly Of God we are dedicated to reaching out to all who want to share a part in knowing and serving our Lord. You are always graciously welcome through our doors and we encourage you to become apart of our loving church family. Our goal is to provide an environment where you and your family can grow spiritually and strengthen your relationship with God. We have a loving congregation that welcomes all new members. We love children, youth and adults. Our place of worship is for everyone. Come and join us. While you develop a relationship with God, we want our congregation to grow rich in the word of the Lord. We study the Bible both in our services and devotional classes. Above all things, it is our hope that you will strengthen your love and relationship with God. Learn to grow through him and receive an inner peace that only His light can provide. Where CHRIST is Honored ! !